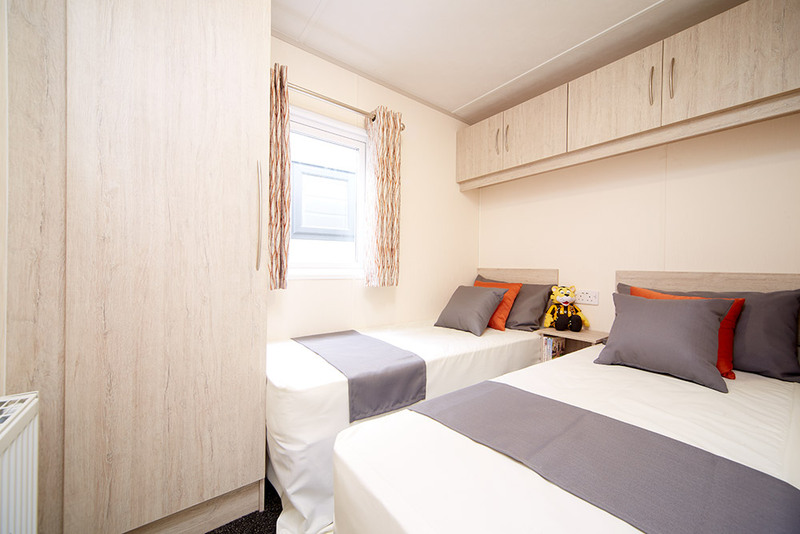 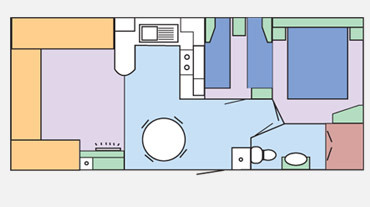 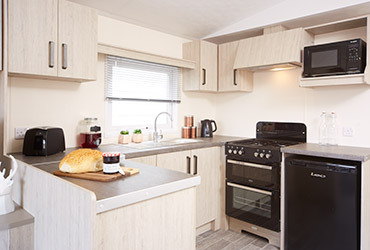 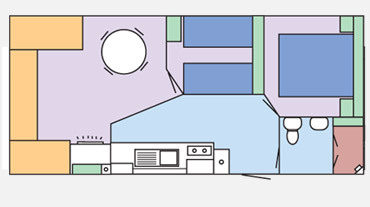 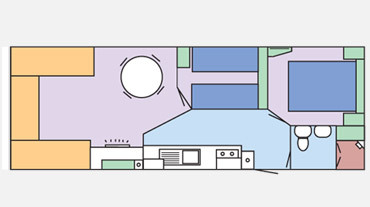 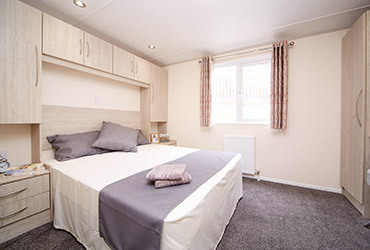 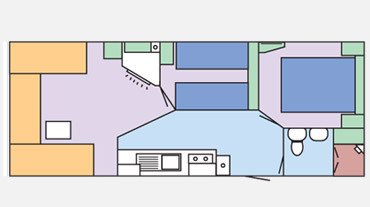 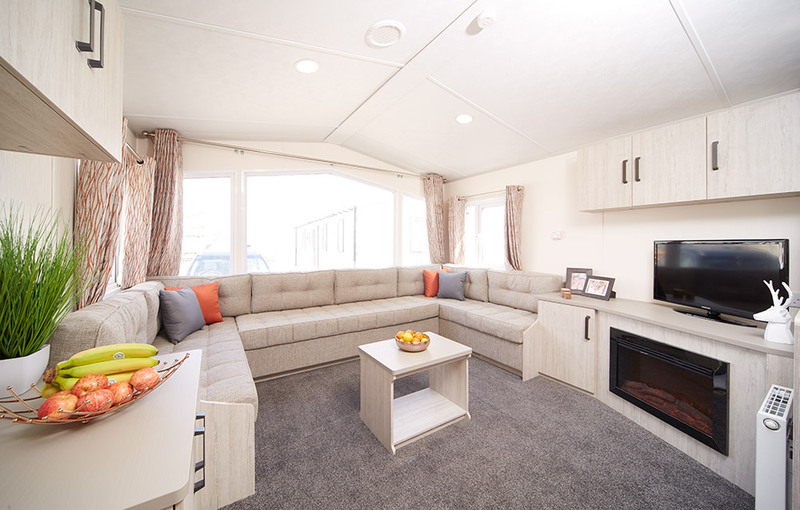 The Topaz is an attractive and affordable family holiday home which exudes quality and durability. 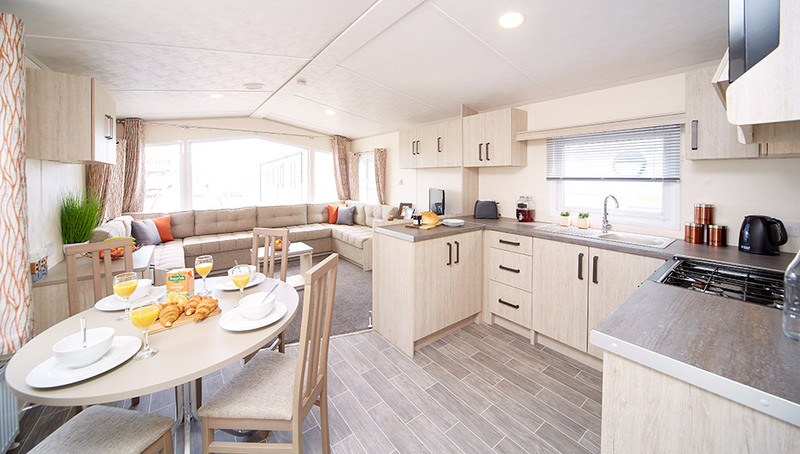 The Topaz is an attractive and affordable family holiday home which exudes quality and durability. 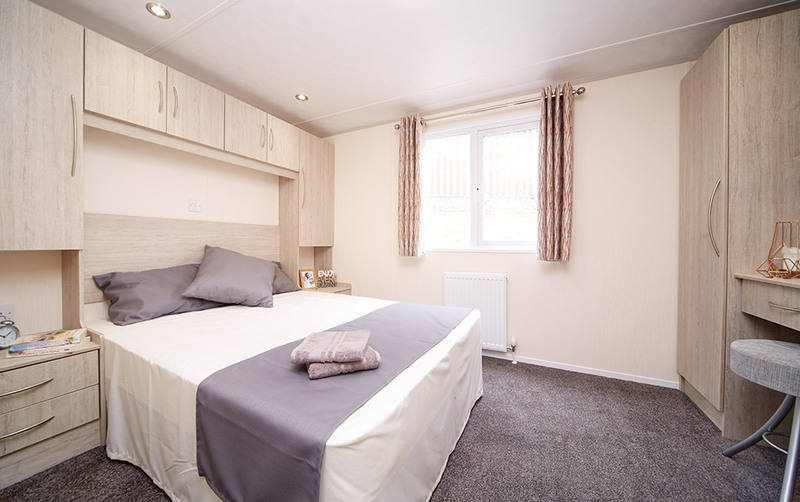 Popular with families with children, it provides all the essential requirements for a holiday home, combining practicality with style. 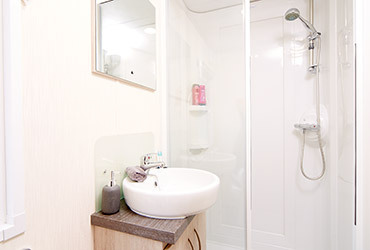 With standard double glazed windows and fully insulated walls and roof, it can also be enjoyed whatever the weather. 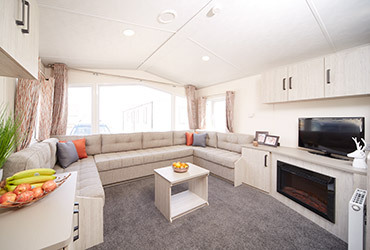 This model has been revamped for 2019 and offers a range of attractive features, with a vaulted living room ceiling and three large windows which let the outside in and fill the living area with natural light. 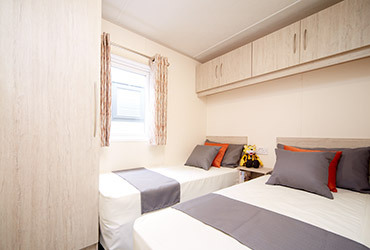 It is furnished with comfortable seating, and an electric fire enclosed in a cabinet which can also be used as a base for a television. 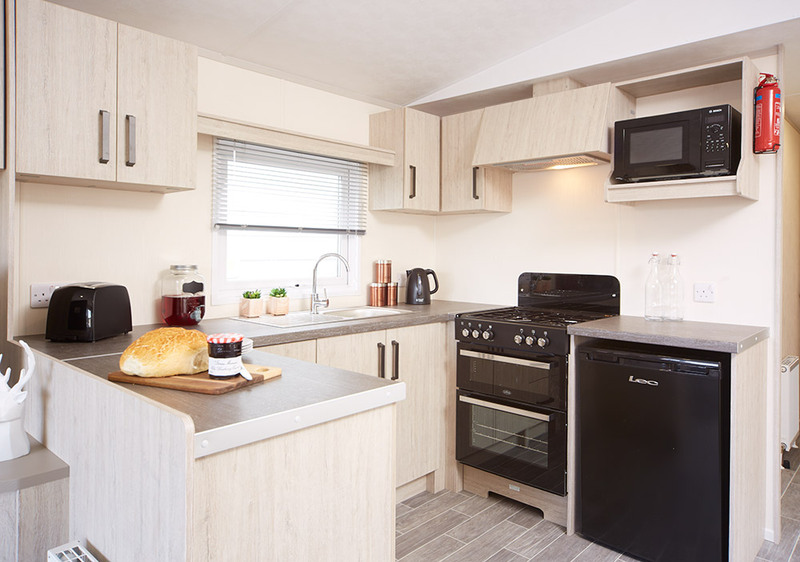 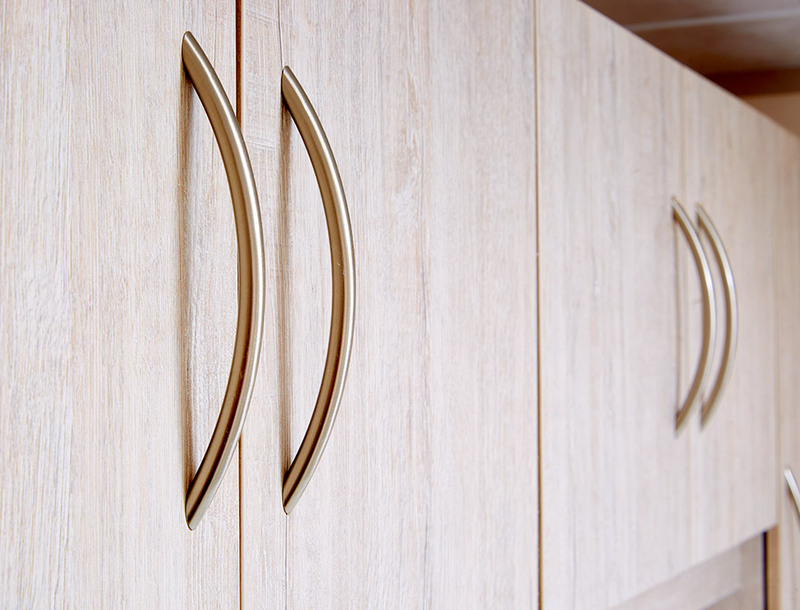 There is an extractor fan with light, plenty of worktop space for preparing food. 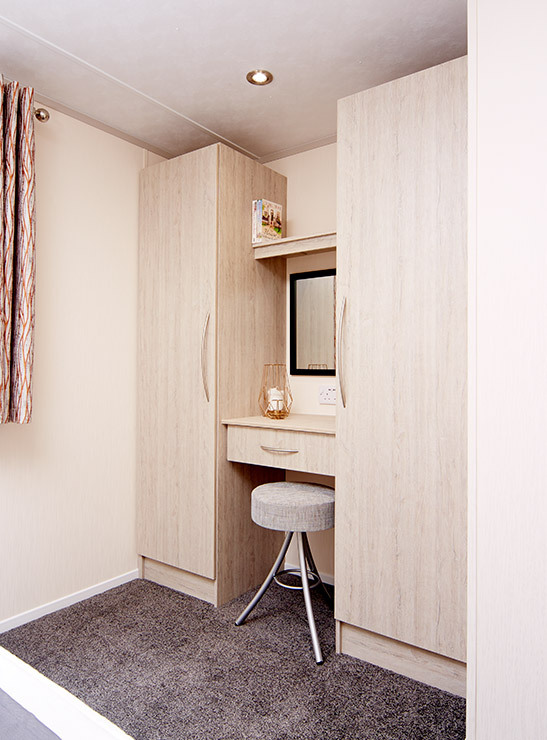 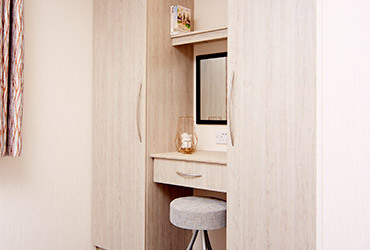 Bedrooms all have fitted furniture as standard, and quality fabrics are used in the curtains and bedding, giving them a homely and welcoming feel. 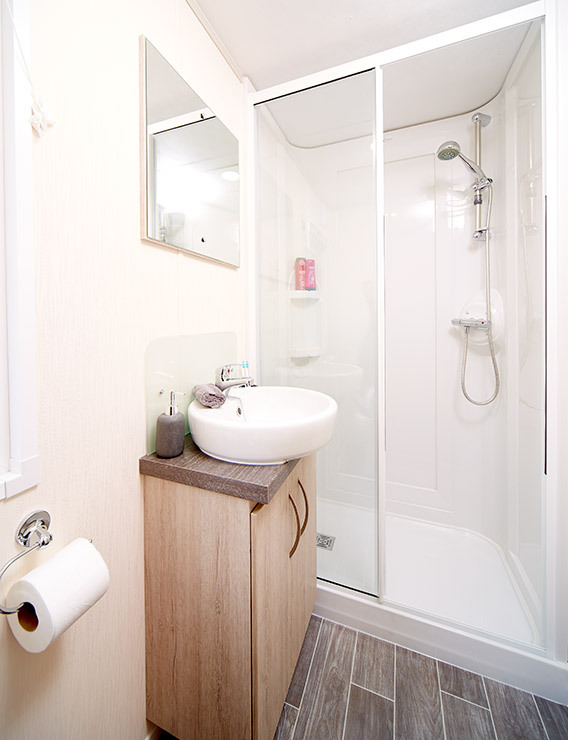 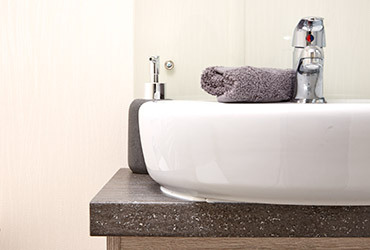 The family bathroom is well-proportioned and well-designed, with contemporary white sanitary ware and a thermostatic shower. 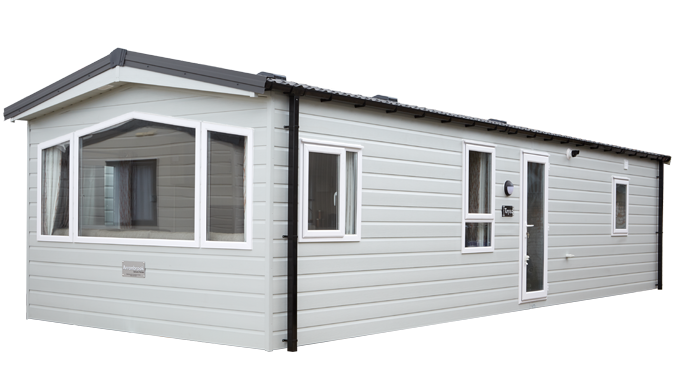 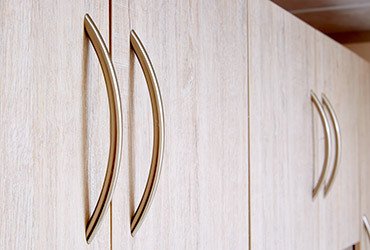 The Topaz even comes as standard with PVC cladding finish on the outside, as shown in optional white, standard being cream PVC cladding. 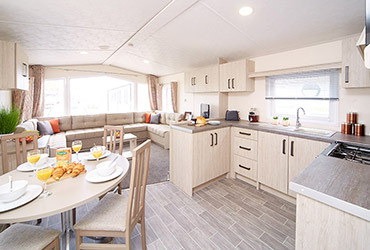 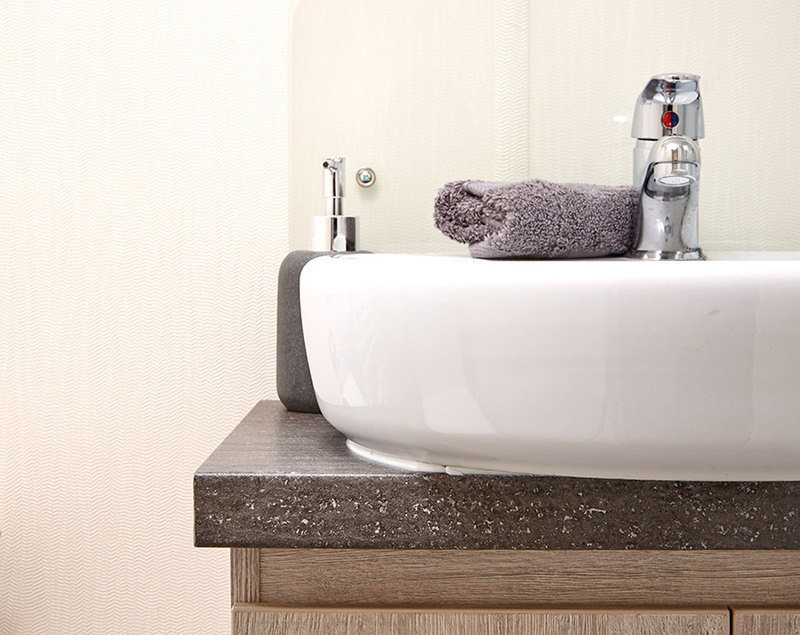 The Topaz continues to represent affordable family living in great style. 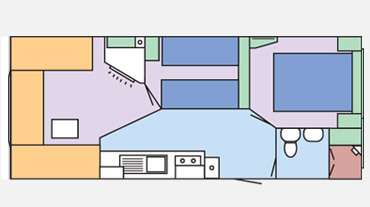 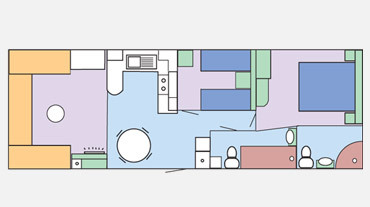 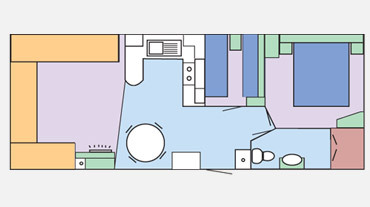 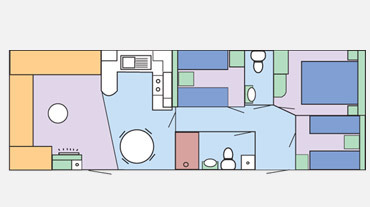 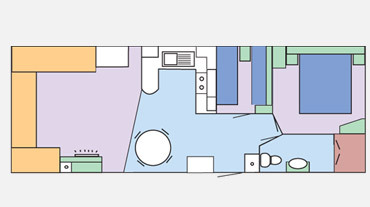 Model shown 35’ x 12’ 2 bedroom.